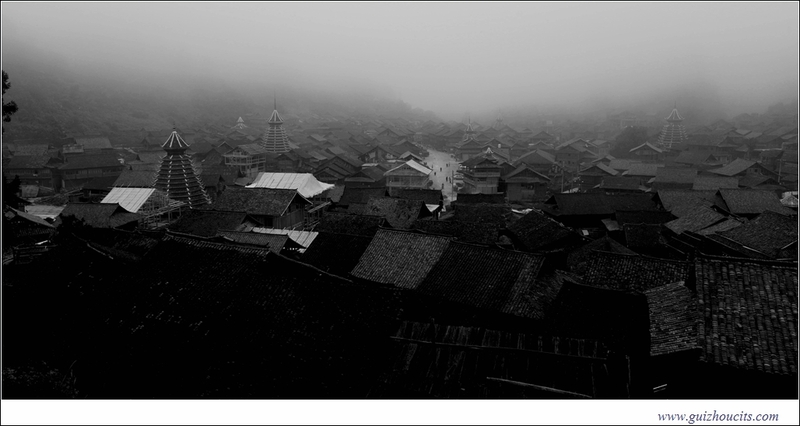 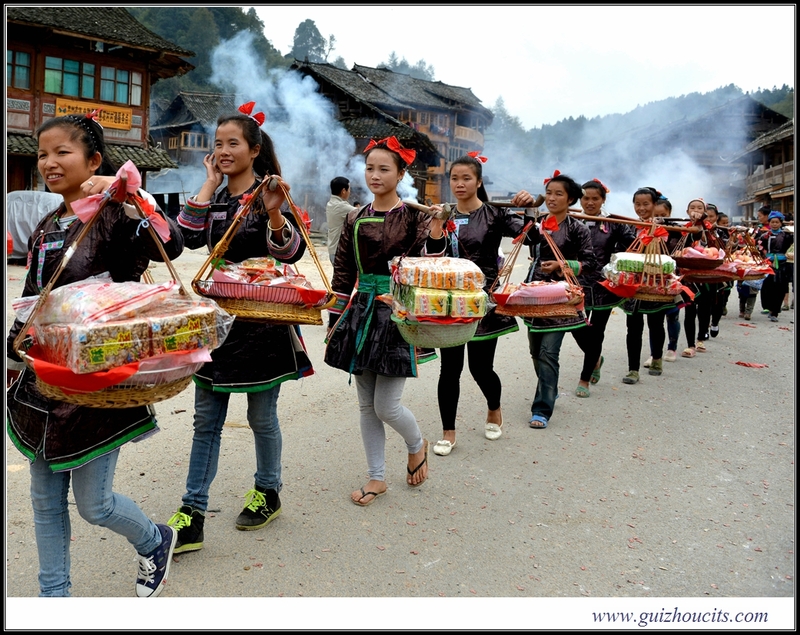 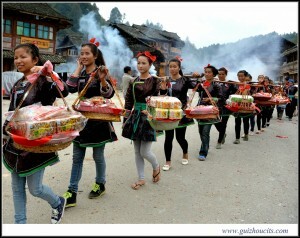 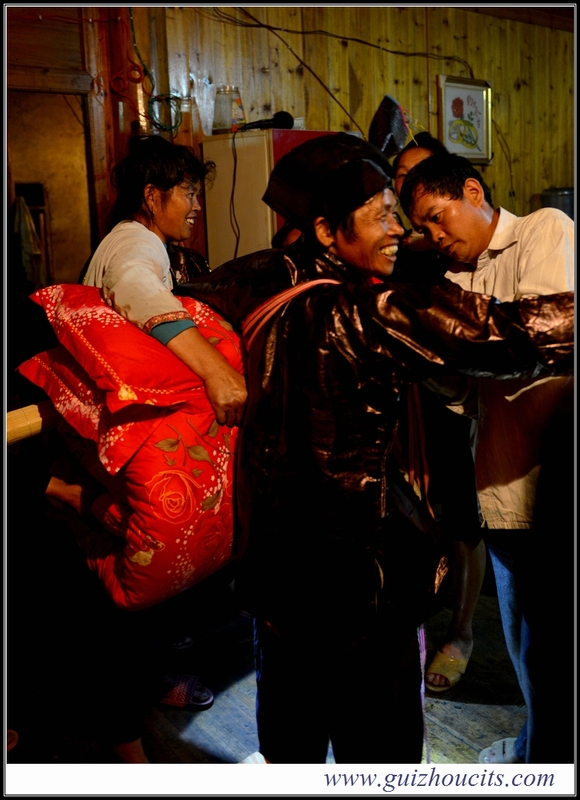 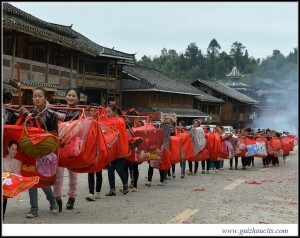 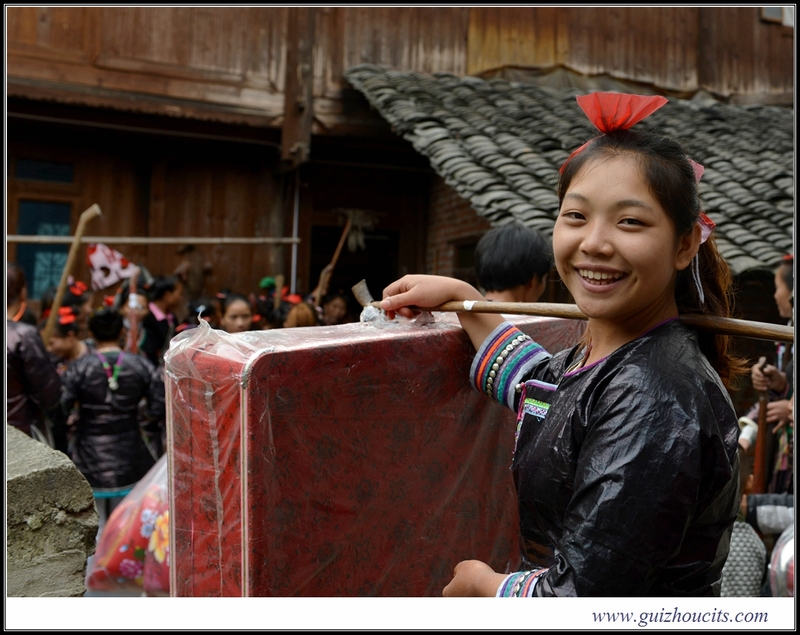 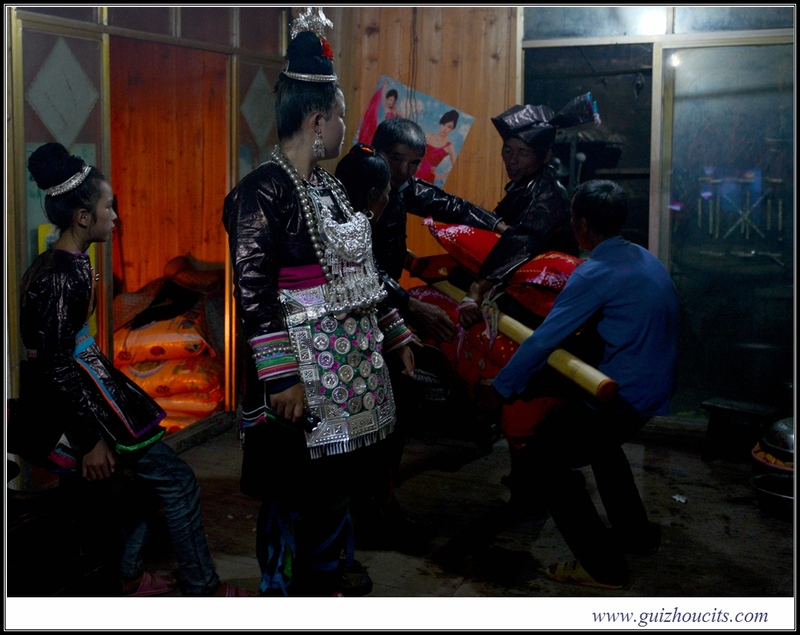 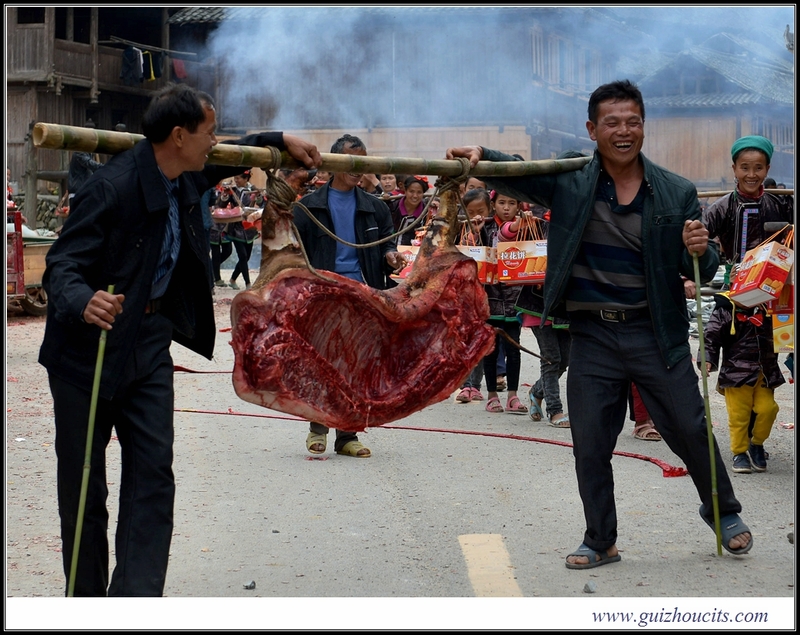 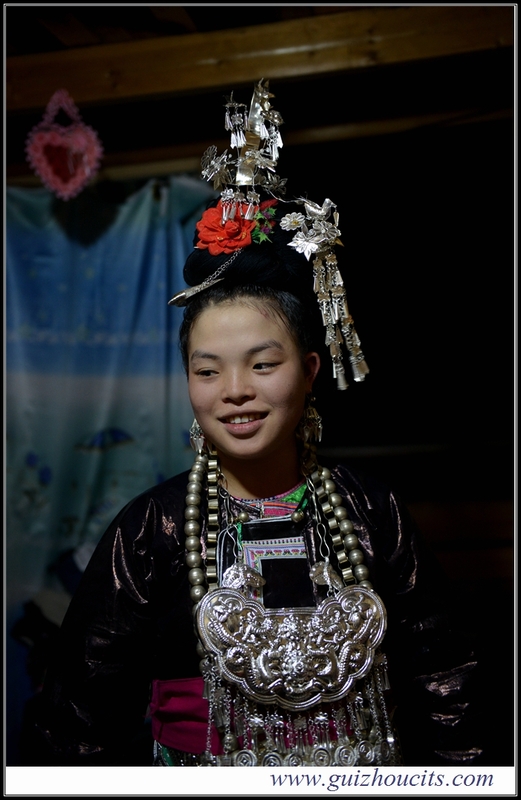 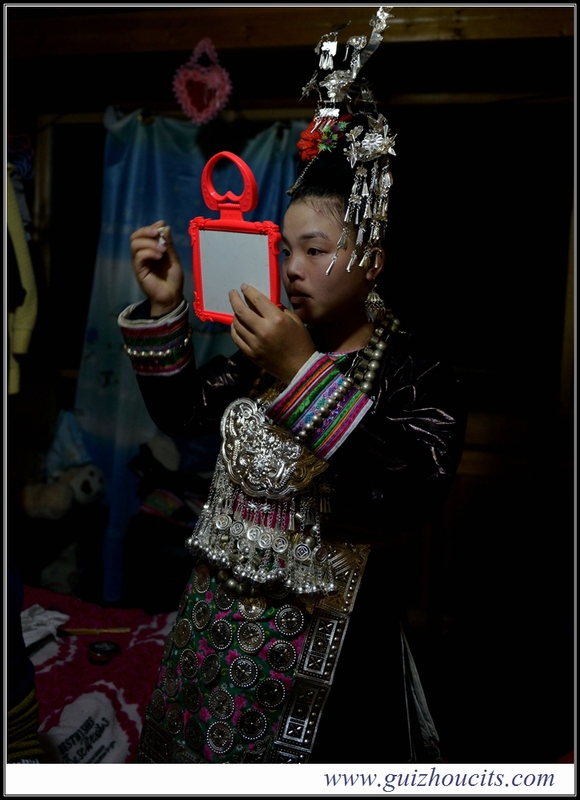 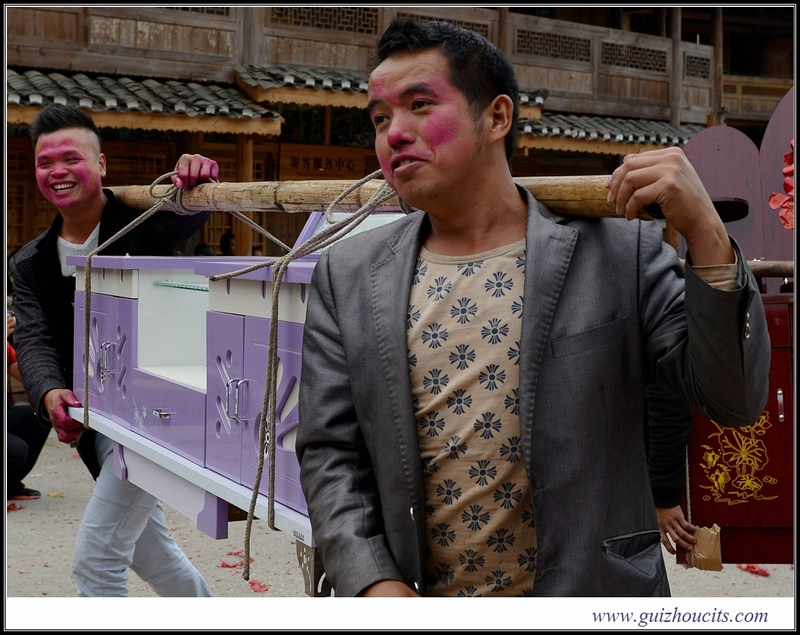 Wedding by Dong people – Guizhou C.I.T.S. 1: Bride invites her close friends to share the happy dinner. 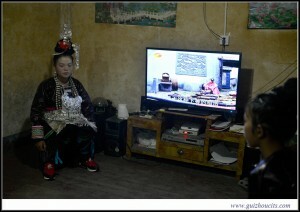 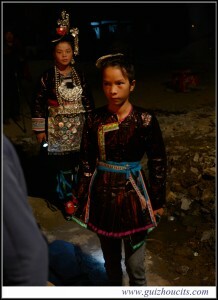 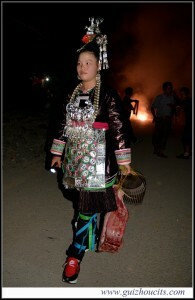 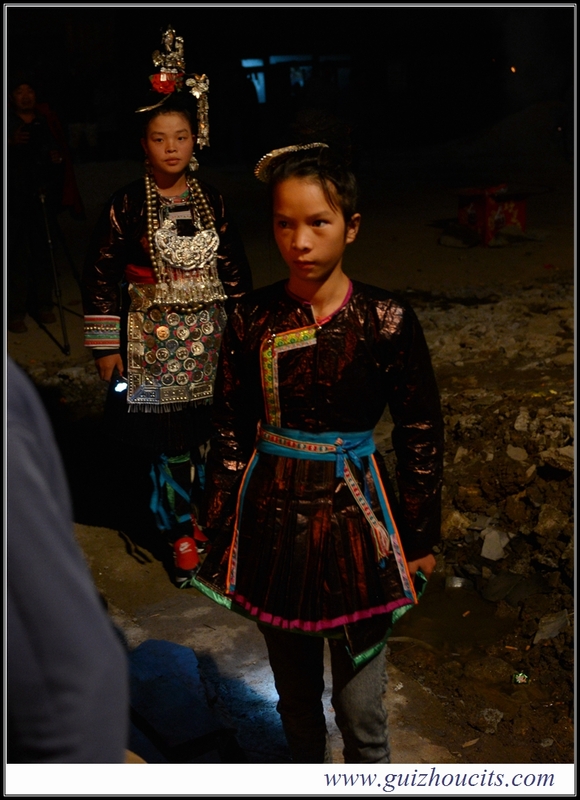 2: The time to leave for bridegroom’s home, the bride is taking a last look at her attriring. 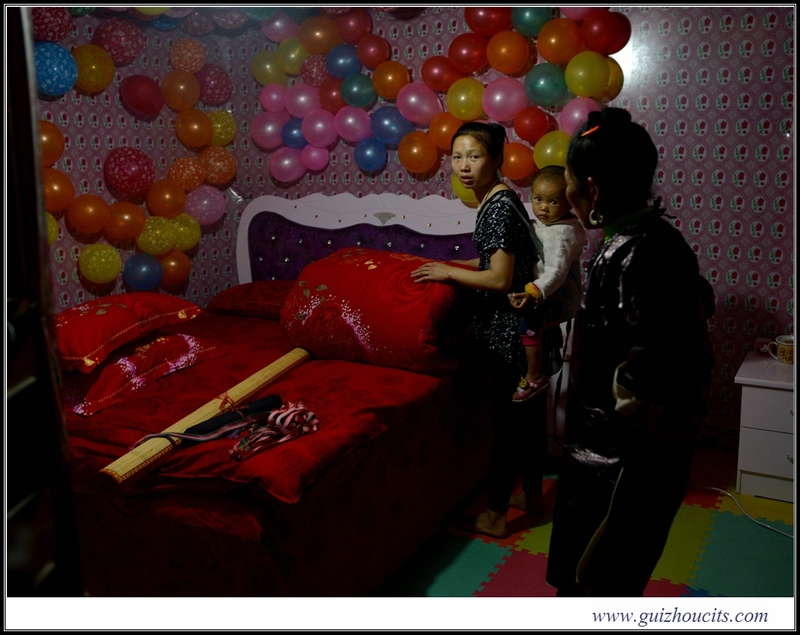 3: The man from the bridegroom’s side is tired with the red bedding given by the bride family. 4: He walks in the front with a burning torch to light up and the bride accompanied by a girl from the bridegroom’s family is following. 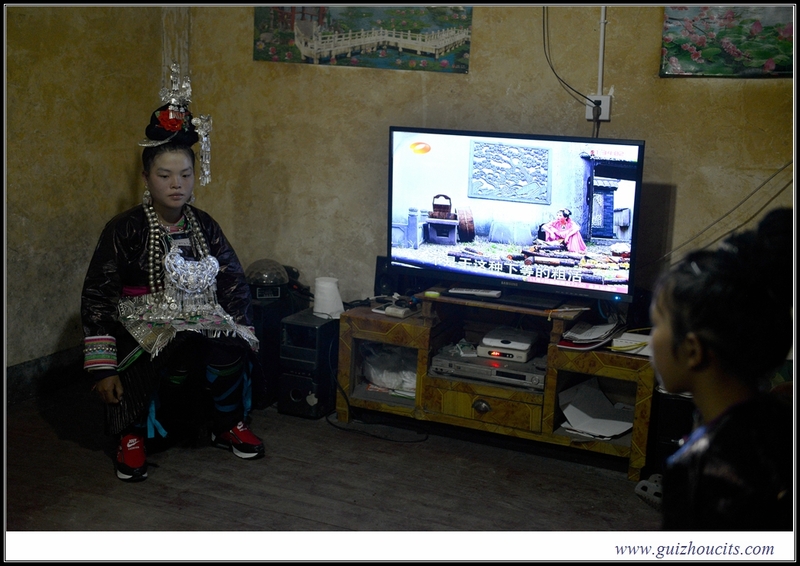 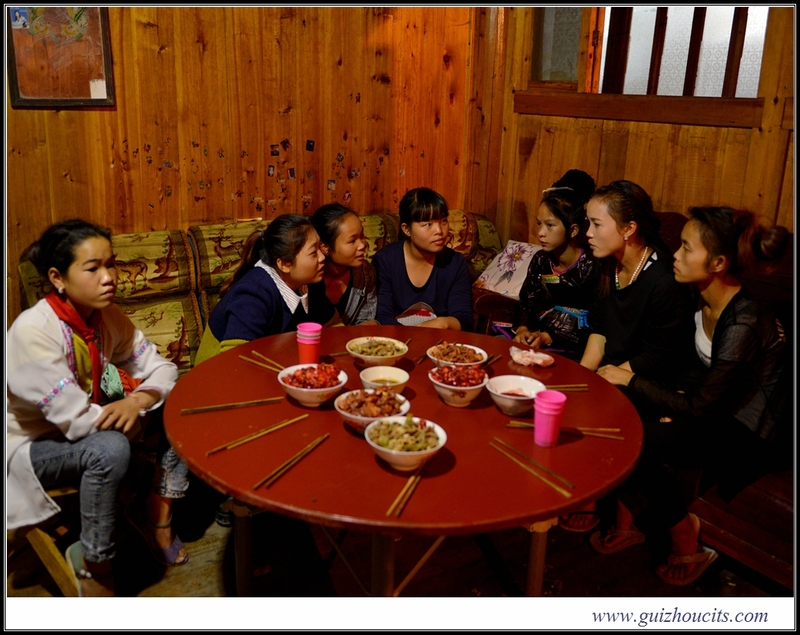 5: About 9:00 pm., after the bride came into the house, all the guests in the bridegroom house are allowed to start their dinner! 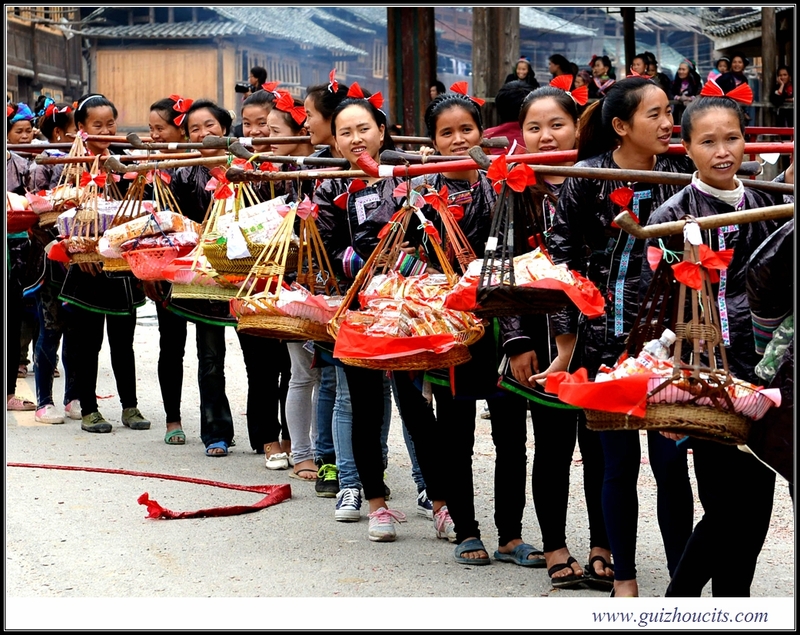 6: Next day, the bride accompanied by the bridegroom goes back home with a long team of betrothal gifts from the bridegroom’s family. Candy, suger, wine, meat, silver, clothes and so on! 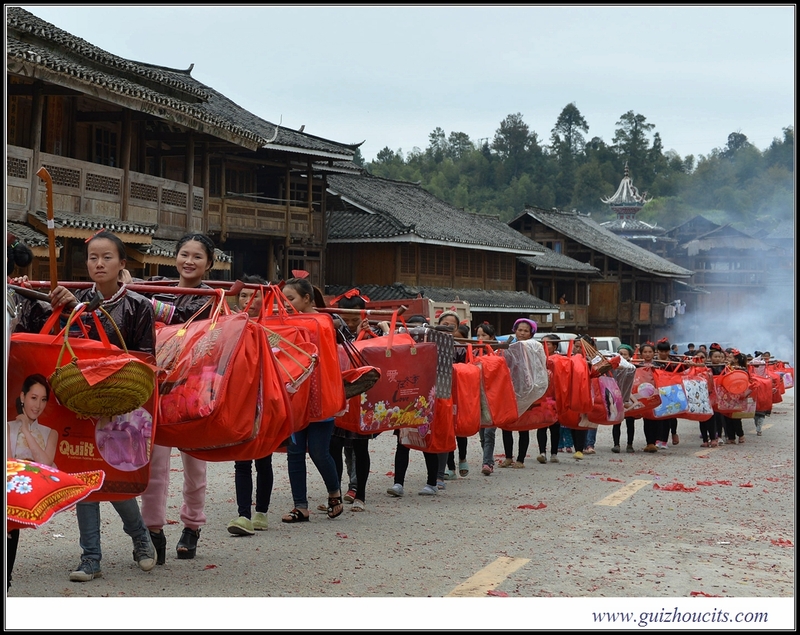 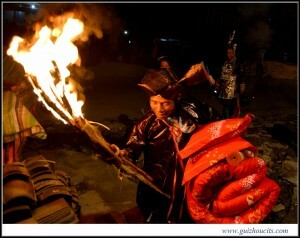 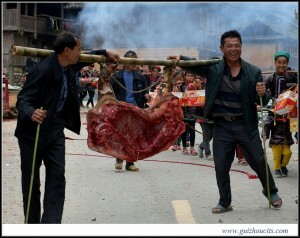 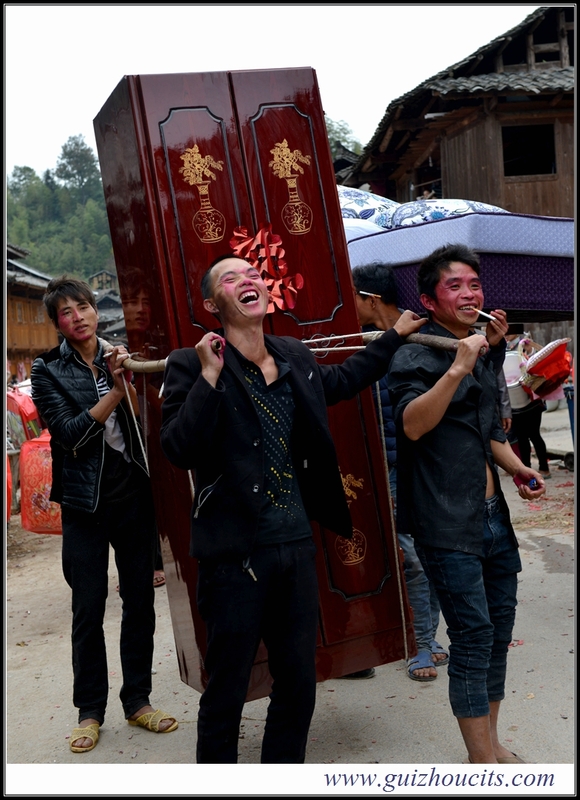 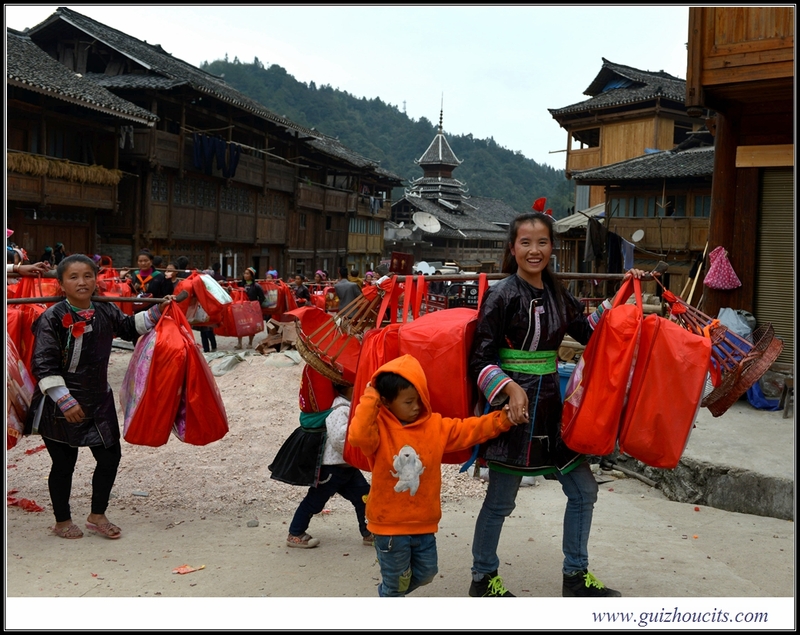 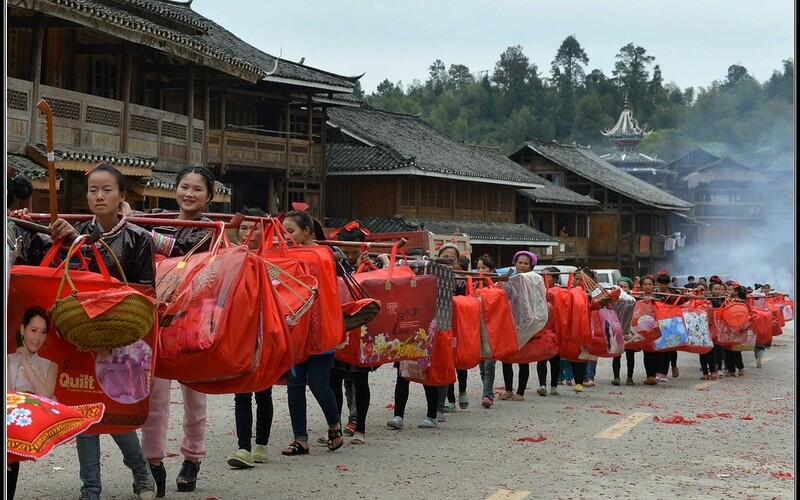 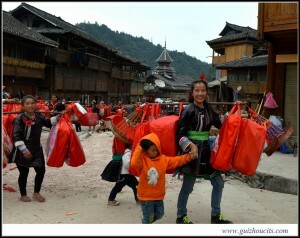 7: After unburdening, this team has to carry all the dowries back as the bride trouseau to the bridegroom’s house. 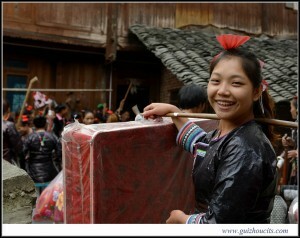 They are blanket, bedclothes, cabinet, sofa, chairs and other funiture, household appliances, even motorcycle and so on.